Saradamani Devi, 84, participated in India’s freedom struggle when she was just 15. The feisty octogenarian lives in New Delhi in an ordinary middle-class neighbourhood still dreaming of a better India and doing her bit to make it come true. During the Emergency in 1975, she wrote a “10 to 15 page letter to Indira Gandhi, reminding her about what all of us fought for, what her father fought for”. Saradamani says, “We agreed and postponed our fast by three months.” The anti-corruption campaign continued, with Anna Hazare going on fast and the Union government agreeing to fast-track the anti-corruption Lokpal Bill process. While the mainstream media focused on some important figures on the stage, Saradamani and her colleagues were overlooked. But it is fitting to acknowledge that it was they who had led the movement, preparing the ground for it over time. country-wide protests saw active participation of women. 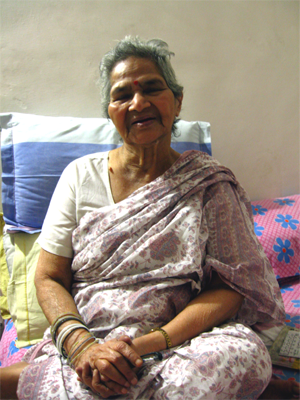 Back in Wardha, Saradamani began teaching at the Mahila Ashram, after joining Nagpur University as a private student. 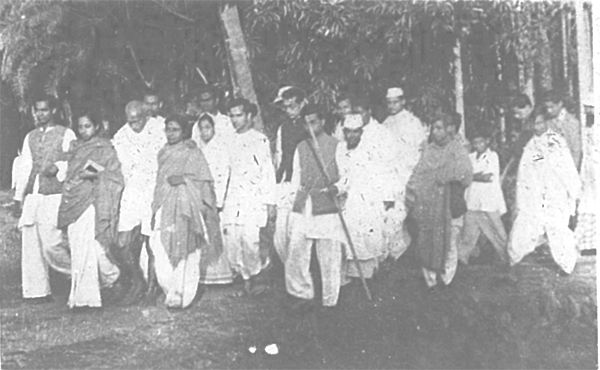 In 1944, Mahatma Gandhi returned from jail and he too would visit the Mahila Ashram. On one occasion he was very annoyed to notice that a rangoli laid out for him was made up of dal. Saradamani’s mother hurriedly assured him that it will be cooked for that night’s meal and he was appeased! What worries her most is that cricketers and film stars have become the role models of the young, not a moral giant like Mohandas Karamchand Gandhi.